Posted on: August 21st, 2017	by Jennifer A. We received a Blu-Ray DVD copy of Diary of a Wimpy Kid The Long Haul movie at no charge, for our Diary of a Wimpy Kid The Long Haul Movie Reviews. Jersey Family Fun participates in online affiliate marketing programs that allow business owners and bloggers to earn referral fees by placing links to products for sale on their own websites, such as the links below. We may earn a small commission from your purchase to help support our free service for helping families find out about family fun in New Jersey. This does no affect your price. As always, all opinions are our own. Did you see The Diary of a Wimpy Kid The Long Haul in theaters? If not, now is your chance! Diary of a Wimpy Kid The Long Haul is now available on Blu-Ray DVD. 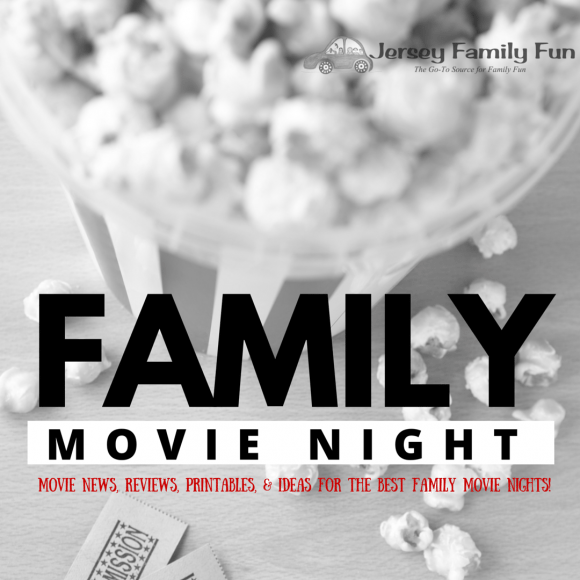 This past week, we took advantage of a slow night to make it a Family Movie Night. We popped in the Diary of a Wimpy Kid The Long Haul DVD that Twentieth Century Fox Home Entertainment sent us to review and sat back to see what kind of mayhem would ensue as Greg and his family took off on their own summer adventure. In Diary of a Wimpy Kid: The Long Haul, the Heffley family road trip to Meemaw’s 90th birthday celebration takes a wild detour thanks to Greg’s newest scheme to attend a video gaming convention. Based on one of the best-selling book series of all time, this crazy, cross-county adventure turns into an experience the Heffleys will never forget! The action in Diary of a Wimpy Kid The Long Haul is nonstop. You can get a glimpse of it in this trailer. After watching Diary of a Wimpy Kid The Long Haul for just over 1 ½ hours my boys were eager to share their Diary of a Wimpy Kid The Long Haul movie reviews. I think Diary of a Wimpy Kid The Long Haul is a good movie because it has gaming and I like gaming. It is about the Heffleys going on a road trip. Manny gets a pig and it’s very cute. Greg gets in trouble. Then Greg and Rodrick sneak out to a video game convention. This movie is jam packed with cool things. I think Diary of a Wimpy Kid The Long Haul is the best Saturday night movie. This movie is a great way to unwind. Also the movie is funny, gross, and piggy. I think the movie is funny because Greg gets a diaper stuck to his hand. I say it’s gross because Rodrick barfs, eww. I said piggy because there’s a pig that Manny gets. This movie is all for fun and family. This is some reasons why I like Diary of a Wimpy Kid The Long Haul. I hope you watch the movie! Bye. Diary of a Wimpy Kid The Long Haul is one of the best summertime movies to watch because it is kid friendly, for families and teaches lessons about perservance. It is kid friendly because there is no cussing or adult situations. In the movie, none of the characters said bad words. Diary of a Wimpy Kid The Long Haul is great for families because during the movie Greg and his family grow together by surviving a car trip together. Finally, the movie teaches lessons about perserverance because the Heffleys are trying to get to Meemaw’s party but they keep getting stopped. They won’t give up though. I hope you can see why this is such a great movie. Now watch it! To purchase the Diary of a Wimpy Kid The Long Haul movie on Blu-Ray DVD visit this link on Amazon. The Diary of a Wimpy Kid The Long Haul Blu-ray and DVD also comes with these bonus features.